MLA (1958-1959), MLA (1959-1962), MLA (1963-1966), MP (1966-1968), MP (1968-1969), MLA (1969-1973), Premier of Manitoba (1969-1977), MLA (1973-1977), MLA (1977-1978). Born at Beausejour on 21 December 1935, he was elected to the Manitoba Legislature in the 1958 provincial general election and was re-elected in 1959 and 1962. 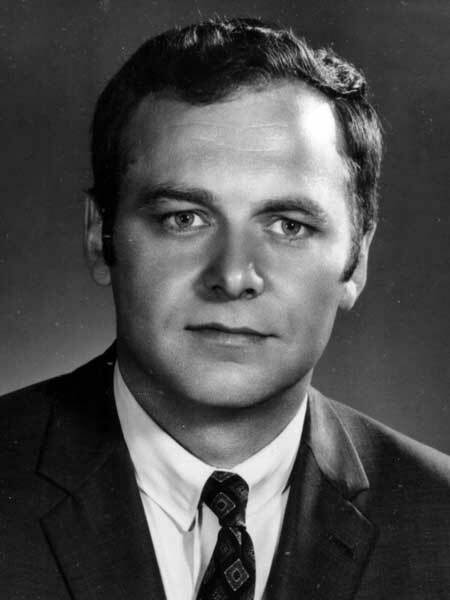 He jumped to federal politics, being elected at the 1965 and 1968 general elections, then returned to provincial politics, elected in 1969 and re-elected in 1973 and 1977. He served as Premier of Manitoba from 1969 to 1977. He later served as Governor General of Canada (1979-1984). In recognition of his community service, he received a Queen Elizabeth II Silver Jubilee Medal (1977), Queen Elizabeth II Golden Jubilee Medal (2002), and Queen Elizabeth II Diamond Jubilee Medal (2012), and was inducted into the Order of Canada (1979) and the Order of Manitoba (2000). He received an honorary doctorate from the University of Manitoba. He was Chancellor of Brandon University from 2002 to 2008. He is commemorated by Edward Schreyer School at Beausejour. Brother of George B. Schreyer. “Edward Schreyer, 1969-1977 ” by Gregory Marchildon and Ken Rasmussen in Manitoba Premiers of the 19th and 20th Centuries, edited by Barry Ferguson and Robert Wardhaugh, Canadian Plains Research Centre, 2010.